I believe Kwasi’s acceptances had more to do with his perfect GPA, 2,250 SAT scores, the 11 AP classes he took, his impressive musical and other talents. And it’s also true that his essay certainly did not keep him out of any of these schools (since he got in them all! ), and might have helped him get in. But I think it’s wrong to assume that this essay had a big part in his acceptance. It’s just not that good. At least in my opinion. It reminded me of the type of writing many adults and English teachers believe would make a good essay. My main concern is that students will look to this essay as an example of a great essay, and try to emulate it. Again, I’m not out to dis Kwasi or in any way imply that he is undeserving of his acceptances into these stellar schools. Who wouldn’t want this amazing guy? I will spare you a blow-by-blow analysis of Kwasi’s essay. It certainly wasn’t terrible, and overall was earnest and heartfelt, and had some nice lines. However, I think his topic was way too broad—“love of music”—and Kwasi tried to cover too much ground about himself, everything from his love of music in all things, how it linked to his leadership skills and even his career goal in medicine. I believe it could have had more impact and been more engaging to read if he had focused his topic. Instead of writing about all things music, he could have picked one specific part of his love of music and expanded upon that. The worst thing about this essay, to me, was that it was on the dull side. It made all sort of general points that I didn’t find that interesting. He did bolster some of his points with specific examples, and that helped. But overall, it was written with a lot of passive voice and broad, flowery statements. While I think it’s important to express what you think, feel and believe in these essays, I also think they need a sharp focus and lots of examples to back up general points. Otherwise, they end up on the bland side. With Kwasi, I would have wanted to get a sense of his personality through the essay, and to hear his authentic voice. There was nothing in this essay that made him stand out from the other zillion students who love music, at least in my mind. Enough picking on Kwasi. Again, a huge congratulations to him and his future at Yale this fall! 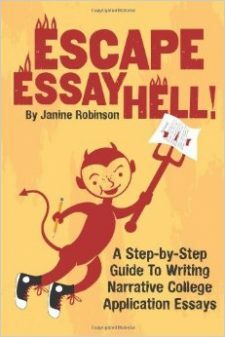 But if you are working on your essay, I wouldn’t use this one for inspiration or as a guide on writing your own. Be bold. Pick topics that haven’t been written about a lot. Focus them to make a specific point about yourself. You may not be as brilliant as Kwasi, but I think you have a good chance of writing a better college application essay! Read some Sample Essays I believe are better.